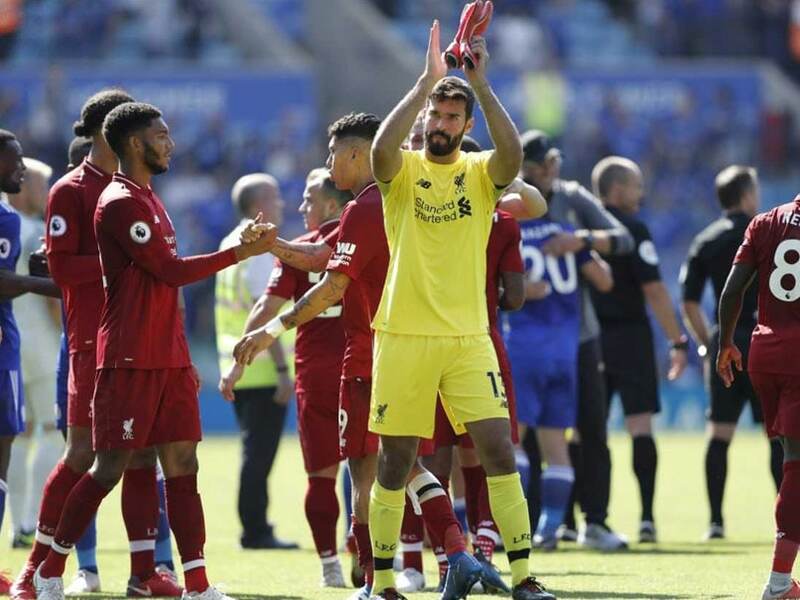 A goalkeeping howler from Alisson Becker saw Liverpool concede for the first time this season, but they held on to win 2-1 at Leicester and extend their 100 per cent start to the Premier League season. Goals from Sadio Mane and Roberto Firmino in the first half gave table-toppers Liverpool a seemingly unassailable lead. Leicester deservedly reduced the arrears through Rachid Ghezzal, who punished an embarrassing blunder from Alisson. It was the first goal Jurgen Klopp's side had conceded in 418 minutes of Premier League football going back to May 6 and the first Alisson had let in club football since last season's Champions League semi-final when he was playing for Roma, against Liverpool.